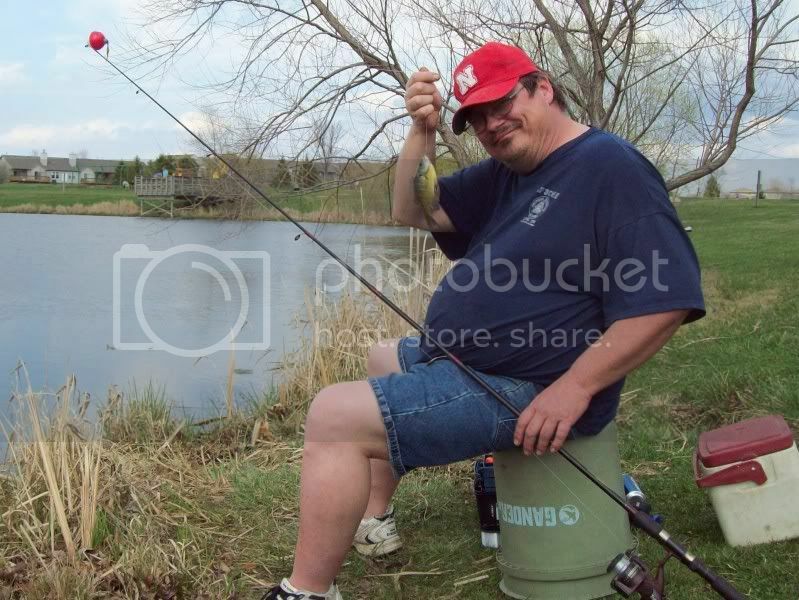 we fished at a peoria city park in far northern peoria today. they were hitting pretty hard at sunset. the 2 biggest fish of the day were a 8.5” redear (keith) and a 7.5” bluegill (keith) i caught the 1st good bluegill, but then later keith rallied and got the redear, and then he scored a bigger bluegill than mine. grrrrrrr! hahaha. we are really competitive with our fishing. i had the biggest fish of the year last year after being beaten 3 yrs in a row. 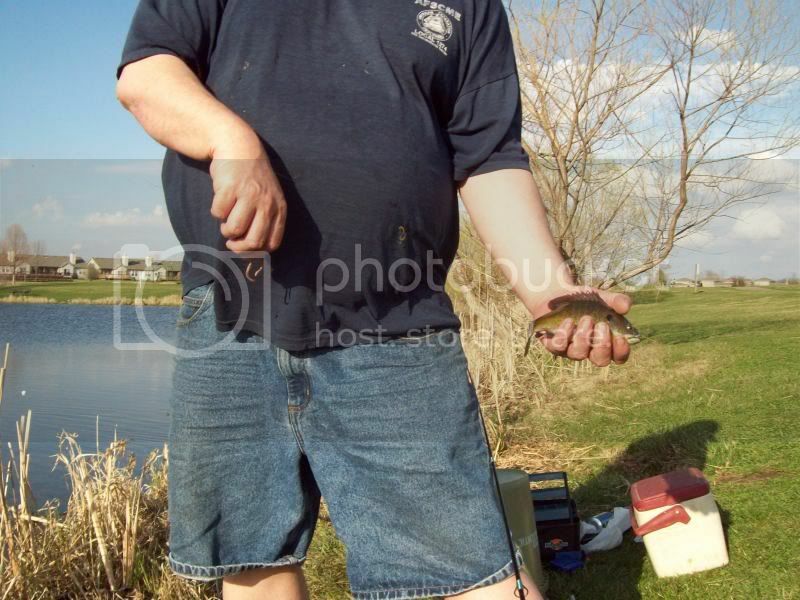 keith’s 1st fish of the year. haha. it went back in the water. Awesome. 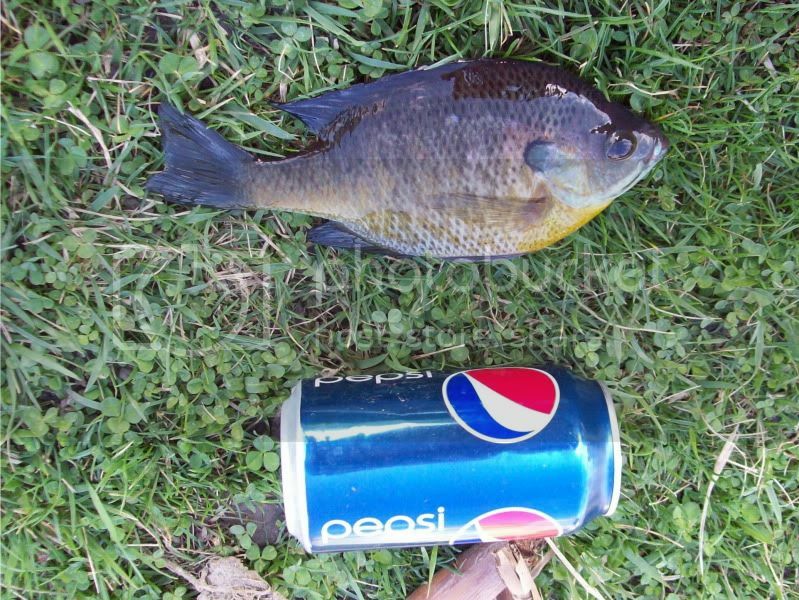 I think bluegill are about my favorite fish to eat. Can’t wait for them to get on their beds. no. its a city park in extreme northerm peoria. Im with you!! !Ill take gill fillets over crappie…. 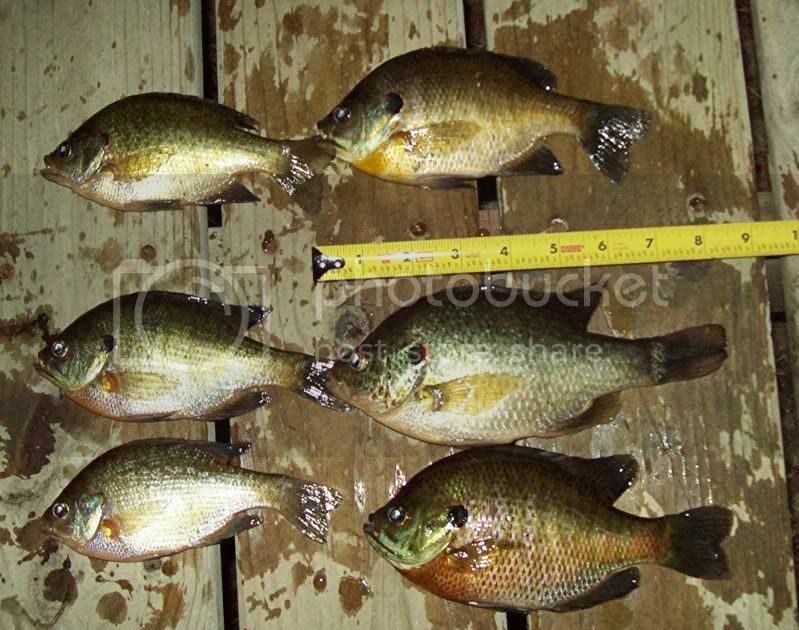 Didn’t get to hit any lakes, but Fri. hit a pond caught close to 20 crappie biggest was 15” smallest we kept was 11” and the rest were in between, Sat. morning hit another pond and kept about 25 gills all 8 to 10”. Not to bad for our 1st outings this year. Well he went Thurs. evening and had a nice mess of crappie, so I fried some chicken thighs & legs, fresh crappie fillets, poppers, regular & sweet potatoe fries and some button mushrooms, needed to fry a few crappie we got that morning. What a feed, was in bed my 9:30 full as a hog can get! 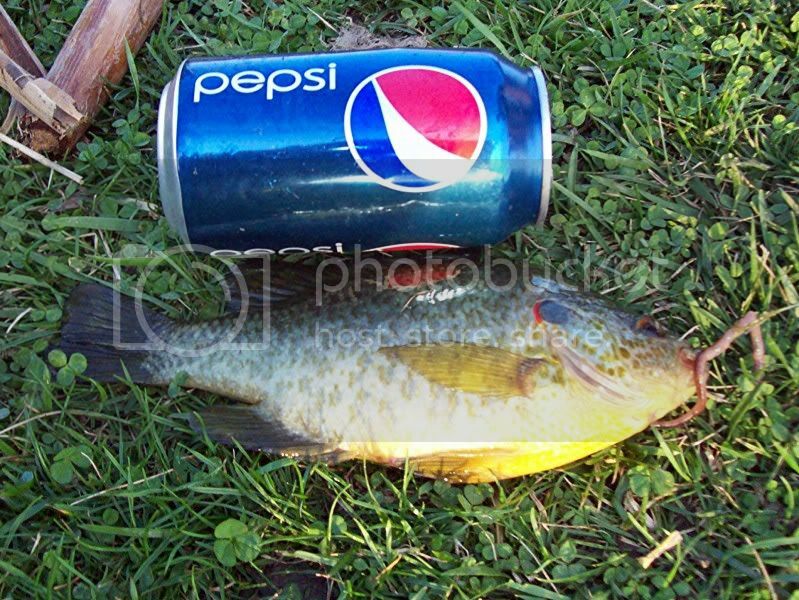 Looks like a nice litte dinner is or should I say was had….Can’t beat cold water blue gills…. My fishing hasn’t been going all that well!!!! they were biting hard along the drop-off just before dark as long as we had a real lively worm. a dead/lazy worm = no bites. we might have had a few more but we ran out of trout worms. the wind was horrible though. it took me awhile, and alot of cursing, to brush out my hair afterwards. OUCH! all of these pics were all taken with the little kodak digital. 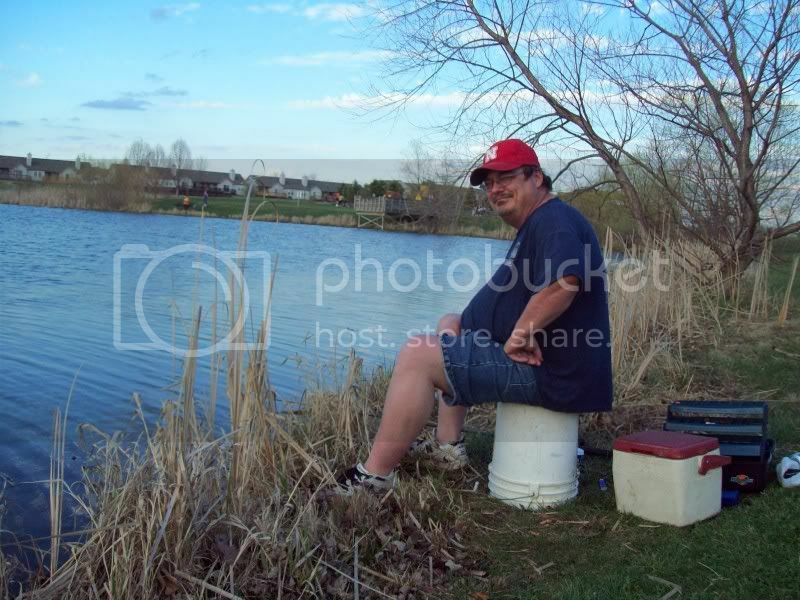 i dont usually take my good camera fishing unless the car is gonna be parked close by.